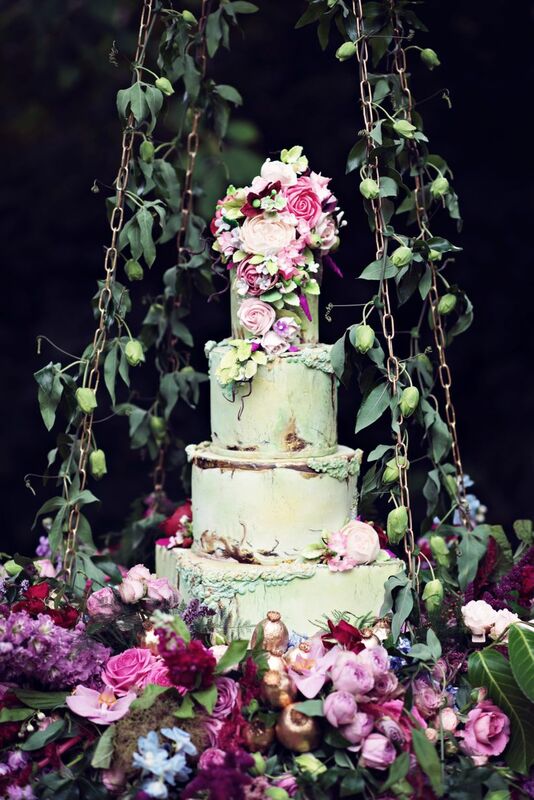 6 Floral Wedding Cake Ideas We’re Totally Obsessed With | Wedding Tips ARE YOU A SUPPLIER? 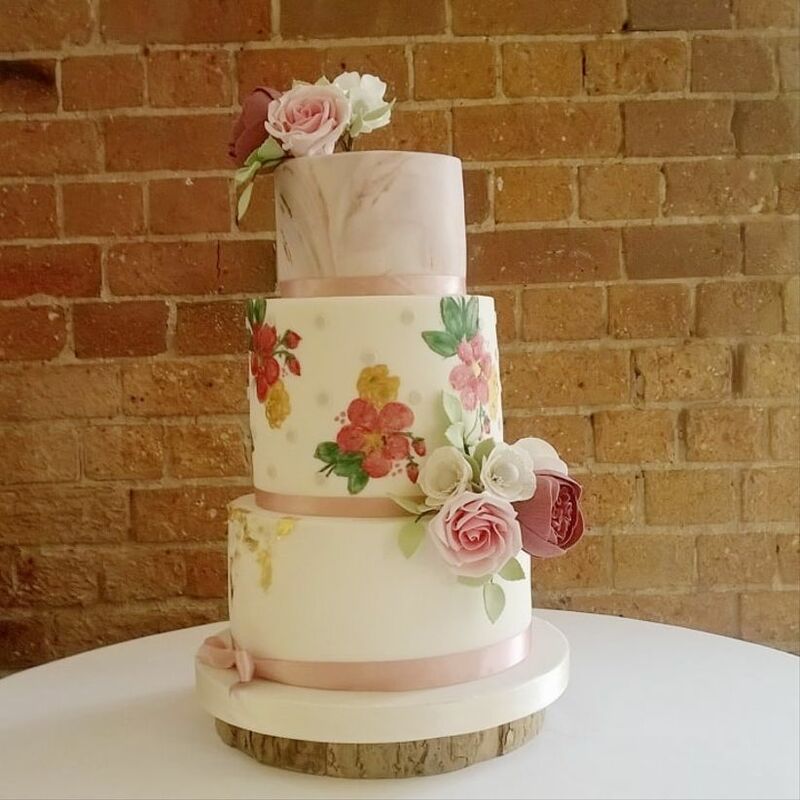 If a floral wedding cake seems right up your street, we’ve got a few options that are definitely worth considering. 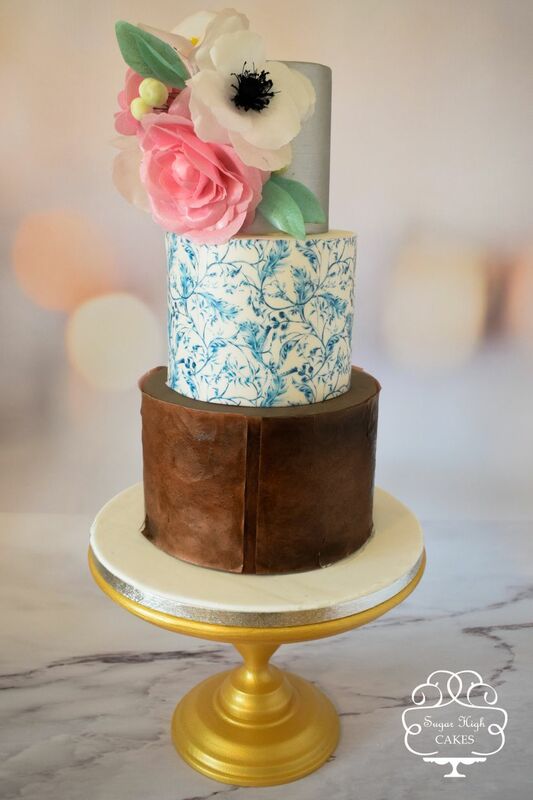 Looking for floral wedding cake ideas? We’re totally obsessed with adding flowers as a finishing touch. Of course, this is nothing new, but it’s remained popular for a reason! We’ve laid out the favourite ways to work flowers into wedding cake designs to help you come up with the perfect style for your big day. Here are a few floral wedding cake ideas we’re totally obsessed with. 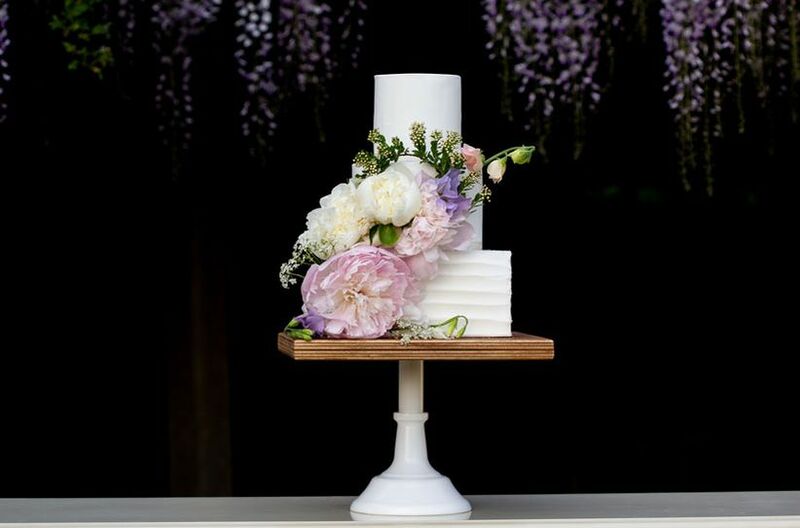 Of course, the most traditional way to add blooms to a wedding cake is with real flowers. 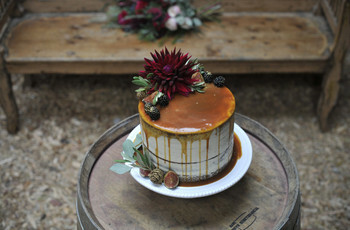 This is the perfect way to add florals to naked wedding cakes. 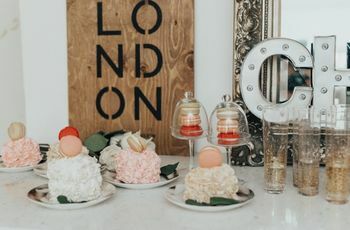 If you go this route, you’ll want to give your wedding cake designer your florist’s contact info (and vice versa) so that the two of them can work together to create a stunning design that matches the rest of the floral arrangements at your celebration. Next to real flowers, sugar flowers and pieces of greenery are some of the most popular wedding cake toppings. They look just as beautiful as garden-grown blooms, but you they’re 100% edible (usually made from spun sugar, gum paste, marzipan or fondant). 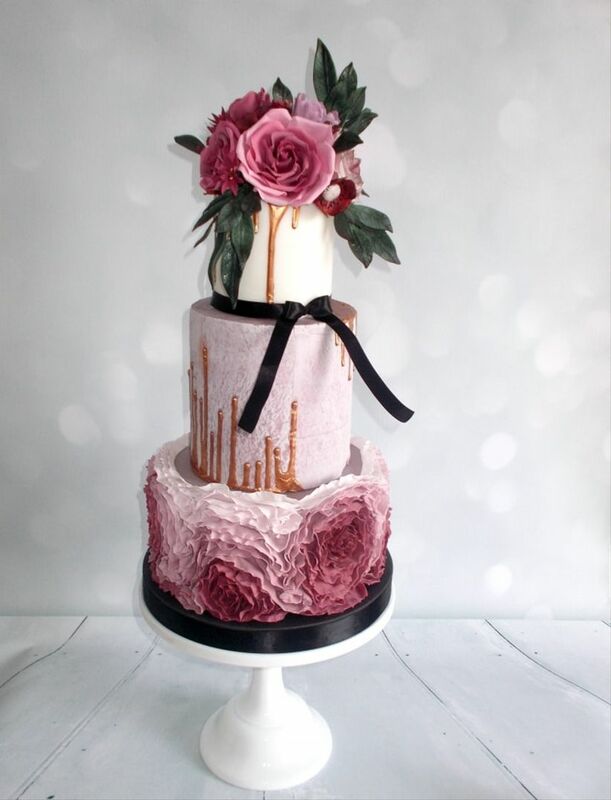 Because they’re pretty time-consuming to create, they may cost you more than real flowers, so you’ll need to be mindful of that, especially if you want to coat your entire cake in beautiful blooms. A rosette icing design is more subtle and one of the more budget-friendly floral wedding cake ideas. Why? Buttercream icing is the least expensive frosting style and rosettes aren’t particularly laborious for your baker to create. 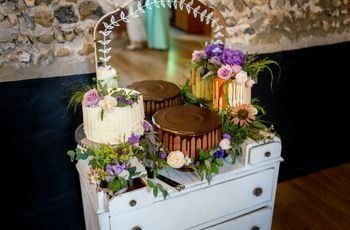 If you want a more interesting design, you can mix and match with popular wedding cake trends for the other tier styles (like this one with tall tiers and a drip design). Love the look of real flowers but don’t want to pony up the cash for fresh blooms? Understandable. Head to your local craft store (or do a bit of online shopping) and pick up a few faux dupes that match the rest of your wedding bouquets and floral arrangements. You should be able to hunt down realistic options that look just as awesome but are a fraction of the price. P.S. you can totally hold onto them as a keepsake after dessert is done (just remember to clean off any excess frosting). If you and your partner are total art lovers, a hand-painted cake may be perfect for you. 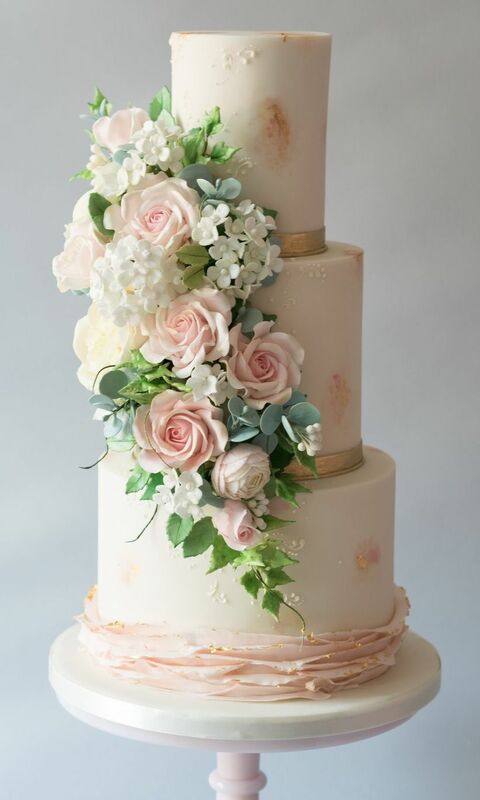 You can ask your baker to suggest floral wedding cake ideas in any style - from Monet-esque to modern and geometric - to really capture the essence and theme of your big day. Keep in mind that this is a more expensive option, so you’ll want to get a quote from your baker and do some budgeting before setting it in stone. 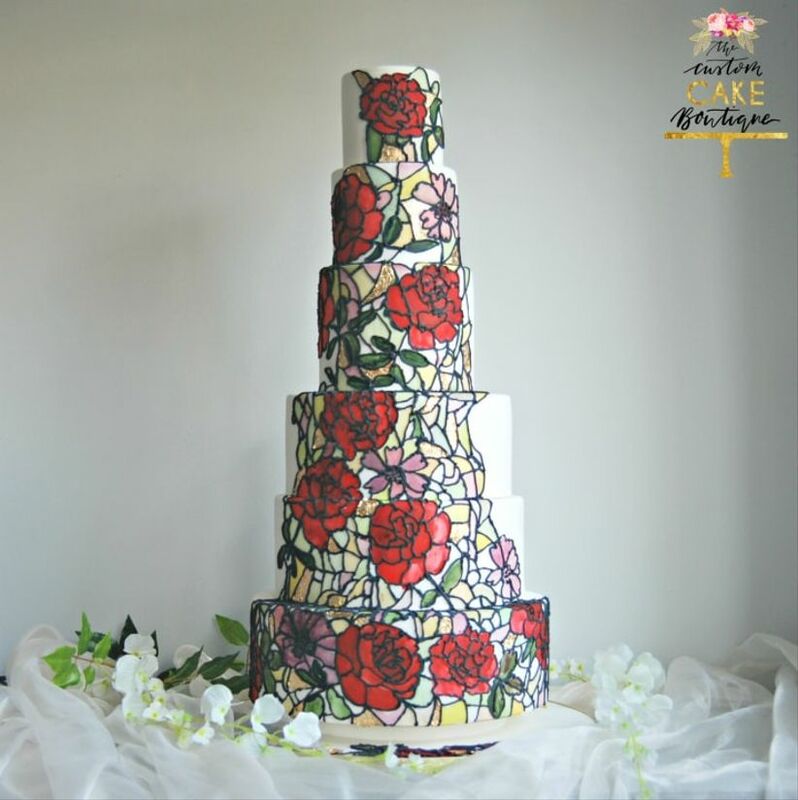 Ask your baker to come up with a floral wedding cake idea inspired by church windows for something truly unique. Instead of religious figures, request images of your favourite types of flowers and greenery to cover your dessert. 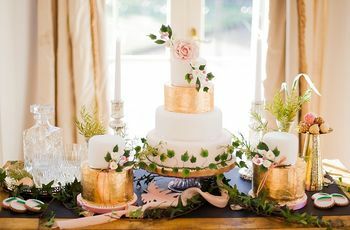 This is definitely an eye-catching design style, so don’t be surprised if you catch your friends and family sneaking pics before the wedding cake cutting rolls around.